The Reference: Will al-Ahmar be next in Erdogan's 'things to throw away list'? Will al-Ahmar be next in Erdogan's 'things to throw away list'? Can Turkish President Recep Tayyip Erdogan give up support to Hamid al-Ahmar as he did the junior members of the Muslim Brotherhood? Al-Ahmar, a Yemeni Muslim Brotherhood member who fled to Turkey, had joined thousands of other Brotherhood members in the country. He was often described as Erdogan's "errand boy". 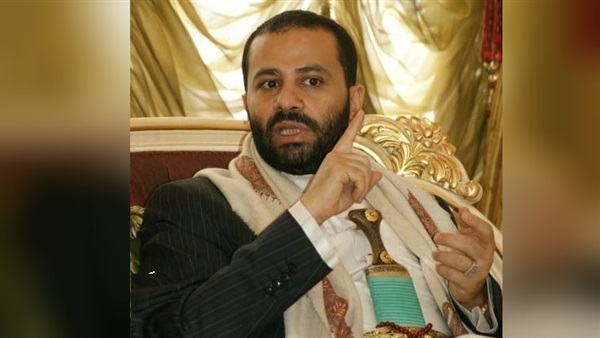 A businessman who managed the Brotherhood's financial dealings in Yemen, al-Ahmar and his family members left Yemeni capital Sana'a for Turkey in 2014. Erdogan used him as an interlocutor between him and the Yemenis and the Palestinians. Al-Ahmar now manages a large number of Islamist networks around the world, receiving political and financial support from Erdogan and the Turkish government. He helped the Turkish leader spread extremism among Turkish youth. According to the Swedish site Nordic Monitor, al-Ahmar is preoccupied carrying out the missions assigned him by his Turkish manager, namely Erdogan. He was the head of the organizing committee that mobilized Arab youth and activists in Turkey to shore up support for Erdogan under the theme of “Thanks, Turkey,” which was held between April 22 and 24, 2016. Interestingly enough, April 23 is a national holiday in Turkey celebrated by young people to commemorate the establishment of the republic with the inauguration of the parliament. As Erdogan was dismantling the republic’s main pillars one after another, he was also taking aim at this symbolic week through an Islamist event with a view to creating a new legacy for his Islamist revolution. Announcing the three days of events that were to be held across Turkey, al-Ahmar described the celebrations on March 31, 2016 as a reminder of the years of the caliphate, when the Ottomans claimed the title, the Swedish site said. That is a sales pitch for the Turkish president, who sees himself as the leader of all Muslims, the caliph to command the allegiance of the Umma. The event took a symbolic start on Friday with a prayer service in the Blue Mosque, across from Hagia Sophia in Istanbul’s historic Sultanahmet Square, followed by an inauguration ceremony at Sinan Erdem Hall. Turkey’s then-deputy prime minister, Yalcın Akdogan, was the keynote speaker, flanked in the front row by Egyptian cleric Yusuf Al-Qaradawi, the chief ideologue of the Muslim Brotherhood who approved of armed insurgency and suicide killings in Syria, on his right and Hamas leader Khaled Meshaal on his left. Al-Ahmar is no stranger to the Brotherhood, of course. He has been involved in the opposition party Yemeni Congregation for Reform, also known as the Islah party, which is affiliated with the Muslim Brotherhood. He comes from an influential political dynasty, the Al-Ahmar family, which has been weakened amid internal conflict in Yemen. The Islah party was founded by Al-Ahmar’s late father, Abdullah, and other Islamist and tribal figures. In fact, Sheikh Abd al-Majid al-Zindani, another leader in the Islah party, was designated as a terrorist on February 24, 2004 by the US Treasury. The US said al-Zindani is “a loyalist to Usama bin Laden and supporter of al-Qaeda.” He also served as a contact for Ansar al-Islam, a Kurdish-based terrorist organization linked to al-Qaeda, according to the US note. With the backing of the Islamist government in Turkey, Al-Ahmar is also leading another organization called the League of Parliamentarians for Al-Quds, which is based in Istanbul’s Bahcelievler district. It is one of many tools at the disposal of Erdogan, who manipulates and exploits the sensitive Palestinian issue for his own political goals. The group brings various Arab and Turkish politicians together under this umbrella and serves as a tool for Erdogan to influence Arab politics. When the group organized its first conference in Jerusalem on Nov. 29-30, 2016, Erdogan attended the event as keynote speaker and delivered a fiery speech, promising to strengthen the platform led by Al-Ahmar. Parliament Speaker Ismail Kahraman, another Islamist figure who hosted the group in his Parliament office on Aug. 25, 2016, was also among those who addressed the audience. On Jan. 31, 2018 Al-Ahmar and his delegation had a consultative meeting at AKP headquarters in Ankara as the guest of Mehmet Mehdi Eker, a Kurdish Islamist and deputy chairman of the AKP who is responsible for external affairs in Erdogan’s party. It appears resources available to Turkey’s ruling party are at the disposal of this man and his associates, Nordic Monitor said.